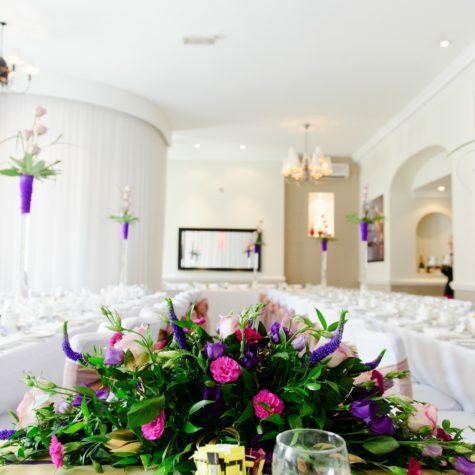 Weddings are a celebration of love no matter what time of year they’re held, but with Valentine’s Day inspiring many weddings, it’s time to ramp up the romance, according to Freya Cleary-Long, wedding co-ordinator at the Mercure Southampton Centre Dolphin Hotel. Get ready for love with these romantic wedding ideas. Creating a romantic mood is all about getting the ambience right, which is why a twilight wedding with an abundance of candles and fairy lights is the most ideal setting. When it comes to a Valentine’s Day wedding, you can totally be forgiven for going over the top with love themed décor. A cascading balloon arch of red and pink balloons in all shapes and sizes (heart shaped included) is perfectly acceptable on this most romantic of days. For a more understated approach, try decorating with lace and ribbon. Hang heart-shaped doilies and keys from the ceiling as a whimsical display or simply place napkins folded into the shape of hearts shapes on the table as a subtle, yet no less romantic, touch. Little arrows, representing those shot from Cupid’s bow, are a quirky way to symbolise love through your décor. Perfect to pin guests’ names to a seating plan or as cupcake toppers. Music and literature also have romantic associations. Use copies of vintage literature featuring star-crossed lovers, or the scores of your favourite love songs for table names. Alternatively hang original vinyl records, a gorgeous and quirky way to decorate a room. The best way to your guests’ hearts is through their stomachs. Luckily, there are lots of foods associated with romance to incorporate into the wedding menu. Oysters, a traditional aphrodisiac, served on arrival will set a romantic tone for the day. 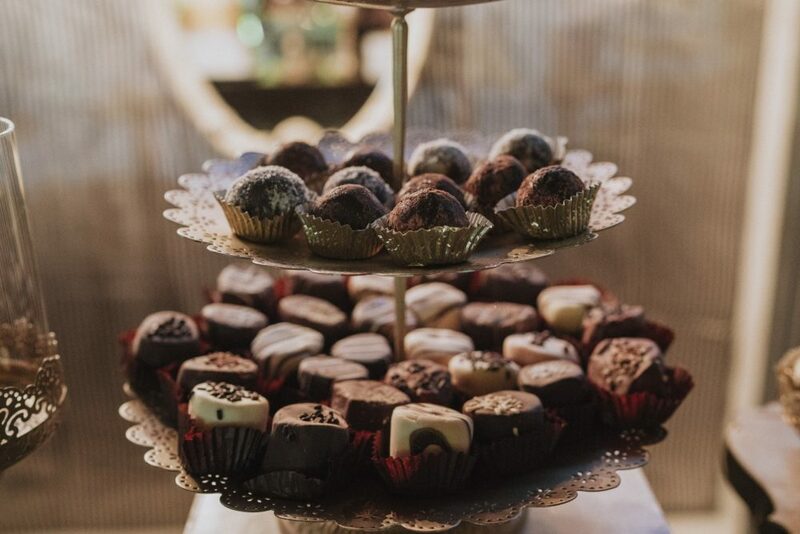 Chocolate is also a must, pile up truffles so guests can help themselves to indulgent treat or strawberries with chocolate dipping sauce make for a ‘healthier’ alternative. 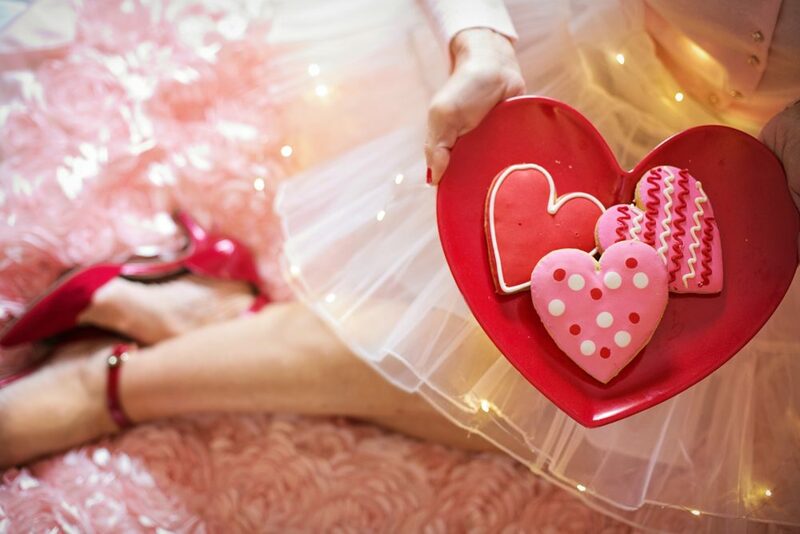 Love is sweet, so treat guests to lovingly homemade heart-shaped cookies, macaroons or candies. And as for drinks, try serving up cocktails in vintage corked bottles labelled as ‘Love Potion’ for a theatrical twist. 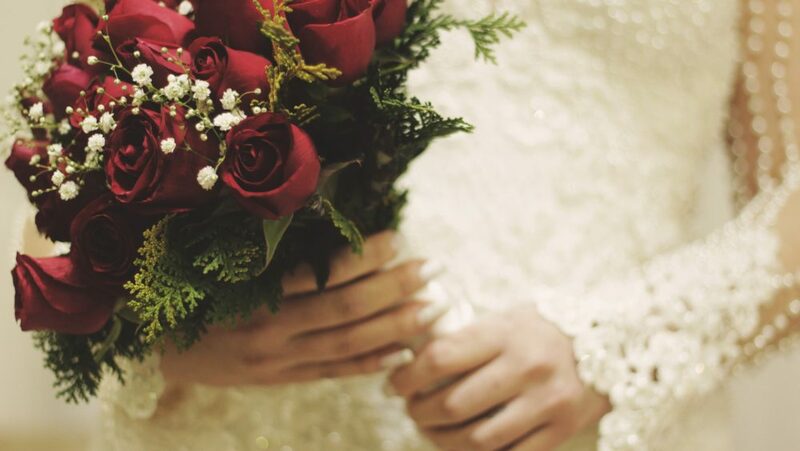 A Valentine’s wedding without flowers simply wouldn’t cut it, but remember if your wedding falls around this time of year, you need to be organised – it’s a busy time for florists. 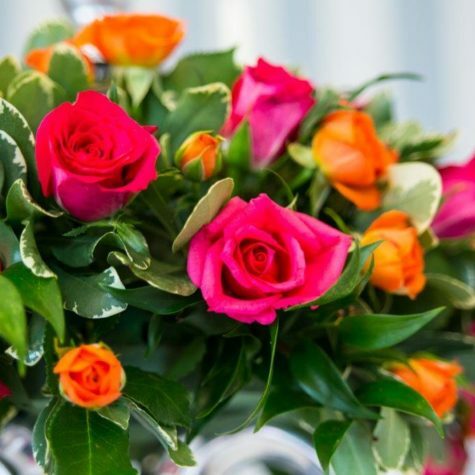 Traditional red roses are classically romantic, but don’t be afraid to bring in other colours and types of flower. Sprigs of lavender will liven up traditional red rose bouquet, or create a dreamy ceremony backdrop with garlands of hanging pink wisteria. Flowers make great favours too, and will mean your floral décor has a purpose beyond the wedding day. Try pairing up pots of identical flowers for couples to take home as a thoughtful touch, or send them away with seeds to cultivate along with a printed poem about how ‘love grows’. Another take on the idea is to create a makeshift flower shop where guests can select a bloom as a gift for the one they love. 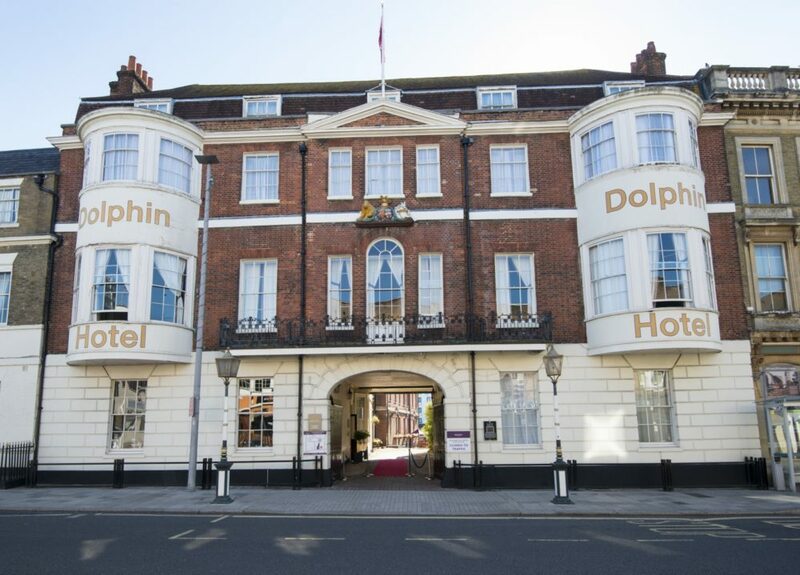 Steeped in history, the Mercure Southampton Centre Dolphin Hotel is the oldest hotel in Southampton dating back 500 years. The Grade II listed building mixes a traditional setting with stunning original features with cosy and contemporary décor. Contact bookings@dolphin-southampton.com or call 023 8038 6460 for more information.